It's time for our "Mimsi Bags" Giveaway! 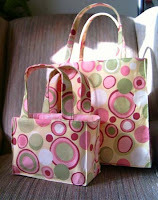 I am very excited that Mimsi Bags has generously offered a one-of-a-kind bag to giveaway for this contest! If you've never visited Mimsi Bags, you've been missing out on some beautifully handcrafted custom bags. The selection does not stop at just bags though. Here are some examples of what you can find in this boutique . . . The mother/daughter matching bags are my personal favorite. Don't forget to drop by the Mimsi Bags blog Design My Handbag for the latest Mimsi news and special offers. 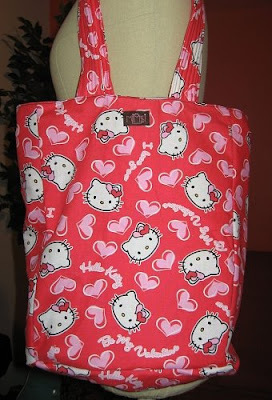 The prize for this contest is the adorable handcrafted Hello Kitty heart grocery bag shown below . 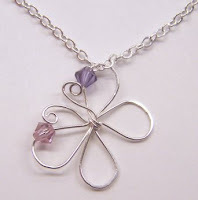 . . perfect for Valentine's Day or anyday. This would not just make a cute grocery tote, but I think you can also use it as a library bag, toy bag, beach bag, and much more. This giveaway is for anyone with a mailing address within the U.S. & Canada. You do not need to be a blogger to enter, but you must have a valid email address. If you enter anonymously and do not include a valid email address in your comment entries, I will not be able to notify you should you win this random drawing. You MUST do #1 to be eligible to win the prize. After that, #2 and #3 are optional ways to gain extra entries. Please leave a separate comment for each entry. 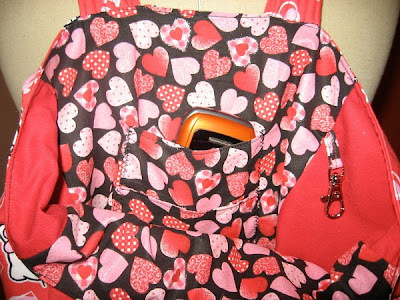 1) Visit Mimsi Bags and take a look around. 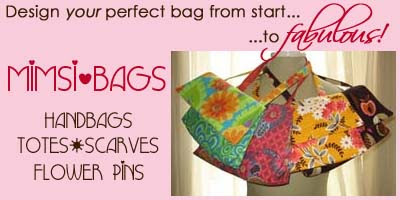 Come back here and post a comment about which style bag AND which custom fabric choice is your favorite. 2) Blog about this giveaway on your blog, linking to Mimsi Bags and A Blog of Goodies. Then come back here and leave a separate comment with the link to your blog post. 3) Visit the Mimsi Bags blog Design My Handbag, take a look around, and leave a relevant comment (at least 2 sentences long) on any post. Then come back here and leave a separate comment telling me on which post you left your entry comment.